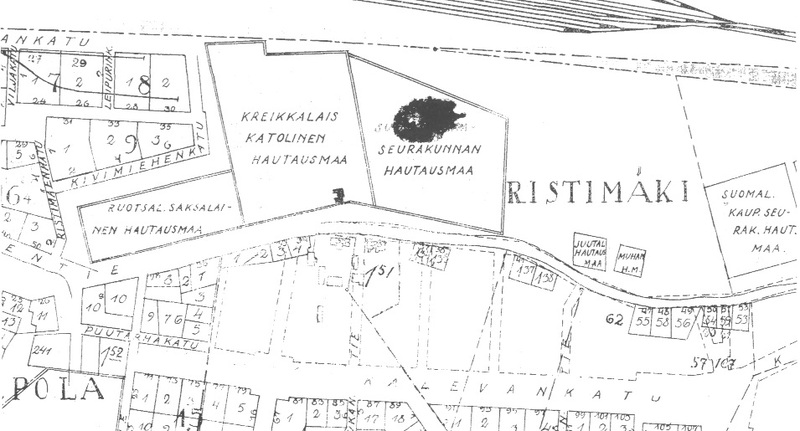 Ristimäki area was known for the cemetery established at the end of the 18th century. The cemetery had different areas for diverse religions. Inhabitation was scarce and located along the old Pietarintie road. Some companies, such as Viipurin Laatikkotehdas Oy, Viipurin Valssimylly Oy, Finska Ab Gasaccumulator Oy, and Oy Voikoski Ab were however located in Ristimäki area.